On our Paddlling tours no experience is necessary, our tandem inflatable kayaks are incredibly stable. We supply a full set of safety equipment and dry jackets to keep you warm and dry. Family Deals valid for a family of 2 adults and up to 2 children under 16yrs. We supply a full set of safety equipment and dry jackets to keep you warm and dry. 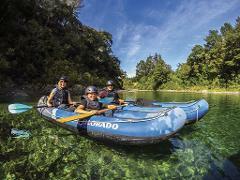 No experience is necessary, the tandem inflatable kayaks are incredibly stable. 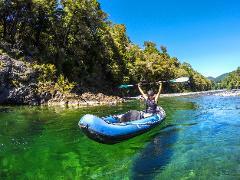 Want to make your kayaking tour uniquely special? Want to share your kayaking tour with only the people you love? Are you looking for a little more from your kayaking tour? Then choose a Private Kayaking Tour.